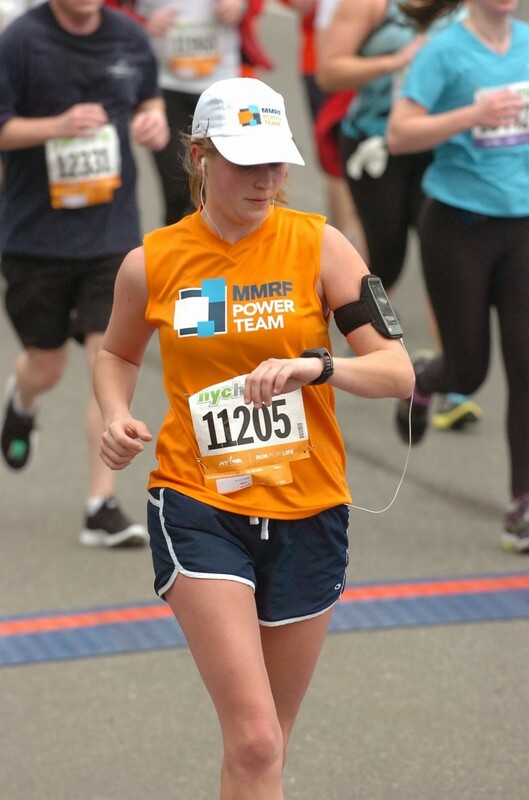 Favorite athletic event: NYC Half Marathon 2012, I raced for the Multiple Myeloma Research Foundation (my picture is from this race). Describe your most challenging athletic event/experience to date: My most challenging race was my first half marathon. It was the Black Bear Half Marathon in Waterville Valley, NH in 2010. I selected this race based on the timing and location. What I did not know was that the course was an “out and back” layout where the “out” was downhill and the “back” was 6.5 miles gradually uphill. I ran the race with my boyfriend’s father (now my father-in-law), who had done numerous races in New England, including the Boston marathon. My goal was to run the whole time. I did reach this goal, though I will readily admit there were points where I was “running” at a slower pace than I could have walked. After we finished, my father-in-law said that he only ran one race harder which was a half marathon where he ran straight up a mountain. That being said, I do not recommend this as a first half marathon. What have you chosen as your transformative event for Fit to Lead Boston? I will be doing the Cranberry Trifest Sprint Triathlon. This event is transformative for me for a couple of reasons. First, I had a knee injury a couple of years ago and have not raced more than a 5k since then. Second, I have never raced in open water or swam competitively. As I mentioned on our 2nd FTL local call, I will be getting coaching from my sister who is 16 years old and swims competitively at her high school. Finally, the training for the transitions between these events will be new for me. I am looking forward to my first triathlon. How does your experience as an athlete transfer to the workplace? I think that having ambition is really important as an athlete. Making sure that the goal I am setting is something that I really aspire to do is a great way for me to stay motivated. This has also helped me to stay motivated in my career. Thinking about what I want to accomplish next is something that I work to remind myself to do. This year, I would like to grow in my current role and take on more responsibility. To do this I plan to focus on learning as much as I can from those around me. This work goal was inspired by my plan to learn how to swim from my sister. Name a random, fun fact about yourself: I am studying to become fluent in French. I studied the language in college and plan to take the proficiency test at the end of 2017. I will definitely be using the worksheet from FTL to help me set incremental milestones that will help me reach my larger goal.